IOE is the government owned oldest institution in Nepal providing quality education in the engineering domain since 1972. As being the top ranked institute under the national university, IOE is continuously improving its education system and research culture with its major features to have dedication on quality education to achieve the world class standards in engineering education. As a public institution, it provides equal opportunities for all qualified citizens to enter into the university education. These days, there are generally more than 12,000 competitive applicants in the entrance exam of bachelors program and more than 2,000 applicants in its M.Sc. entrance exam. Hence less than 32% applicants are selected for the admission. The increase of entrance applicants every year and the increasing burden in the manual processing of the entrance exam enforces IOE to step into the automatic exam operation and result processing system. History of engineering education in Nepal can be traced since 1942 AD, when Technical Training School was established. Engineering section of the school offered only trade courses and civil sub-overseers programs. In 1959, Nepal Engineering Institute, with the assistance of the government of India, started offering civil overseer courses leading to Diploma in Civil Engineering. The Technical Training Institute established in 1965, with the assistance from the Government of Federal Republic of Germany, offered technician courses in General Mechanics, Auto Mechanics, Electrical Engineering and Mechanical Drafting. 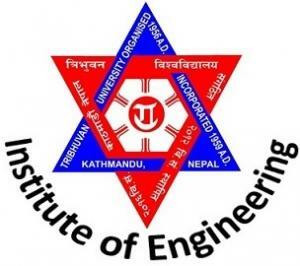 In 1972, the Nepal Engineering Institute at Pulchowk and the Technical Training Institute at Thapathali were brought together under the umbrella of the Tribhuvan University (TU) to constitute the Institute of Engineering (IOE). Nepal Engineering Institute and the Technical Training Institute were renamed as Pulchowk Campus and Thapathali Campus respectively. Since then, IOE has expanded considerably. The technician programs in Electrical, Electronics, Refrigeration/Air-conditioning Engineering were started in the Pulchowk Campus, with the assistance from UNDP/ILO in 1972. The Architecture Technician program was started by the IOE in its own effort in 1973. As a first Bachelor's Degree level course in Engineering in Nepal, B. E. Civil Engineering was started in 1984 in its own effort. In 1994, with the assistance of the World Bank, the Swiss Government, and the Canadian Government, through Engineering Education Project (EEP); Bachelor Degree level courses in Engineering were extended to Electronics & Communication and Electrical Engineering. In 1995, Mechanical engineering and Architecture were started in the Pulchowk Campus. Beyond the project period, IOE extended additional bachelors programs in following years. Bachelor's Degree program in Computer Engineering, from 2001, Bachelor's Program in Agriculture Engineering were started at Purwanchal Campus. In 2006, Bachelor's Program in Industrial Engineering in 2015, Bachelor's Program in Automobile Engineering were started at Thapathali Campus. From the year 2014, all the diploma programs were phased out and the IOE concentrated its programs spanning from Bachelor through Master to Ph.D. levels.